The Alaska Board of Fisheries declared the low sockeye return to the Chignik River an emergency at a meeting on Tuesday. Members voted to keep the subsection of the Dolgoi Islands and Southeastern District Mainland area closed through August 8. Like many Gulf of Alaska communities, far fewer sockeye are returning to the Chignik River than forecasted. Chignik has an early and late run. The combined escapement goal for July 20 is 416,000 sockeye. As of July 18, only 222,000 sockeye had made it upriver to spawn. 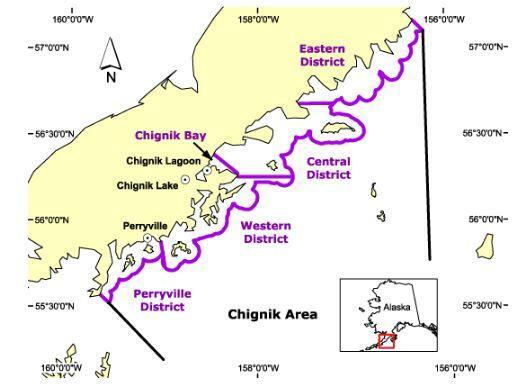 With no harvestable surplus, the Chignik Management area has not had a commercial fishing opportunity targeting sockeye. Further, some residents say they are voluntarily forgoing subsistence fishing to boost escapement. Three groups, the Bristol Bay Native Association, the ADF&G Chignik Advisory Committee, and Chignik Regional Aquaculture Association submitted petitions, asking the Board of Fisheries to further restrict South Peninsula fisheries because a significant number of Chignik sockeye swim through their waters as they return to Chignik to spawn. At the emergency meeting on Tuesday, the Board of Fisheries considered the requests. Many South Peninsula fisheries stakeholders strongly opposed the petitions and urged the board to reject them, arguing that Fish and Game already has the authority to address in-season conservation issues and that closure of South Peninsula fisheries would be hurt regional fishermen. 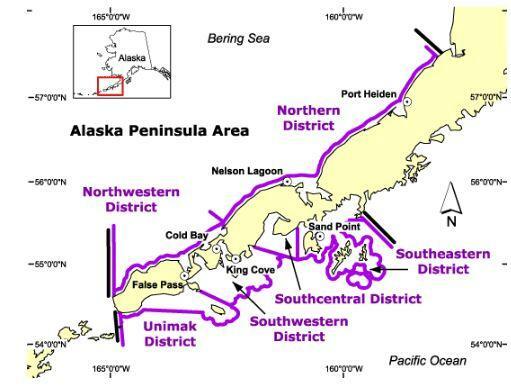 In June and July, the Alaska Department of Fish and Game placed unprecedented restrictions on fishing in the South Unimak and Shumagin Islands. Nick Sagalkin is the Alaska Department of Fish and Game regional supervisor for commercial fisheries in the westward region. He explained that in mid-June, fishing time in these sections was cut in half. Post-June, the South Peninsula fisheries were initially unrestricted. “When we got to the second period the escapements were still languishing, and we opted to close the Dolgoi Management Area. So the period opening for the rest of the areas was the same, but we closed the Dolgoi's. Sagalkin said at the meeting that the early sockeye run to the Chigniks is very unlikely to meet its escapement goal, and the late run is weak as well. However, it was Fish and Game’s position that the situation did not constitute an emergency. "Current sockeye salmon escapement is not the worst on record for the state, and while escapement is not adequate to provide directed commercial salmon harvest opportunity in the Chignik Management Area, the sockeye salmon escapement level does not threaten the long term sustainability of this stock, and the Department does believe the current Chignik River sockeye salmon escapement level or the harvest of some Chignik origin sockeye salmon in KMA or South Alaska Peninsula represents an emergency," said Sagalkin. However, the board approved the emergency petitions with a 5-2 vote. Fritz Johnson, a board member from Dillingham, explained why he considers the Chignik situation an emergency. "This is the lowest return, if not in recorded in history, certainly in a long time with regard to the fish returning to the Chignik system. This is an important resource, an important fishery for the communities that participate in it. And I think, given what we’re seeing in terms of escapement, we need to address this today, now, while we’re here and provide what protections we can to this salmon stock." Members voted to keep the subsection of the Dolgoi Islands and Southeastern District Mainland area closed through August 8. Both those measures will be lifted if the interim escapement goals for Chignik sockeye are met. The emergency declaration will expire in 120 days. The Board of Fisheries will further discuss management of Chignik and South Peninsula stocks at a February meeting in Anchorage. Contact the author at avery@kdlg.org or 907-842-5281.